In 1980, Phil Nixon joined the University of Illinois Cooperative Extension Service (the name back then), and worked as an Area Extension Entomologist in the Oak Brook office covering the nine northeastern Illinois counties until 1987. Phil then moved to Urbana and became an Extension Entomologist, housed in various buildings throughout the campus in the intervening years, but as an integral part of the Pesticide Applicator Training (P.A.T., the name back then) Program. Over the next 30 years, Phil has provided leadership to the Pesticide Safety Education Program (the current PSEP). Phil is retiring at the end of May, 2017. During the past 37 years, Phil has provided statewide leadership in pesticide education training, being part of the first group of extension advisers creating two-day workshops in the Chicagoland area. When he moved to campus, he worked with other specialists in creating a statewide system to provide pesticide education training for commercial applicators and operators, setting up programs, handling registrations, and creating, writing and editing manuals and workbooks for the many training subjects from Turfgrass to Ornamentals to Aquatics to Mosquitoes and most of the others. Phil helped to create the first separate Private and General Standards Manuals. Throughout the state, Phil is noted for his vast knowledge of turfgrass and ornamental insects, providing leadership to the professional industry, Extension educators, and training more than 1000 Master Gardeners and Master Naturalists. 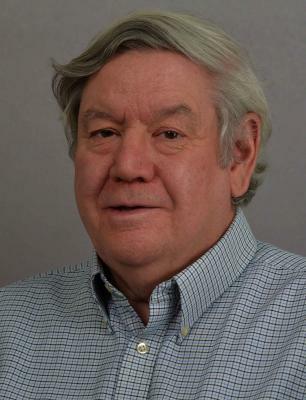 He has received eight University of Illinois awards and one EPA award in recognition of his achievements. For the past 25 years, Phil has been the lead editor on the weekly Home, Yard and Garden newsletter, as well as the coordinator and contributor to the IL Commercial Landscape and Turfgrass Pest Management Guide and the various incarnations of the Pest Management for Home Landscape guide. Phil has been an active member of the American Association of Pesticide Safety Educators since the organization's founding. In 2015, he received the AAPSE Distinguished Achievement in Pesticide Safety Education Award and was awarded life membership in AAPSE in 2016. He has represented Illinois with the US-EPA, USDA, and many state agencies and other land-grant universities, networking to secure funding and sharing of pesticide training information. When asked about the changes he's notice over the last three-plus decades, Phil has responded about the change in technology and the use of computers in daily life. He's seen pesticides come and go, including diazinon, chlordane, and many of the organo-phosphates and chlorinated hydrocarbons. He's seen the introduction of various insects into the state including Gypsy moth, Asian Longhorn beetle, emerald ash borer, German yellowjacket, and marmorated stinkbug. On the other hand, "killer bees" never materialized in the state. The rest of the PSEP team wishes Phil years of enjoyment with his fish, dinosaurs, bonsai, and other hobbies in his retirement. With the exception of a few flip-phone hold-outs, most applicators are carrying a smartphone in their pocket these days. A vast selection of weather forecasting apps (most geared to the general public) are available, which many of us who work out in the elements use to plan outdoor activities. 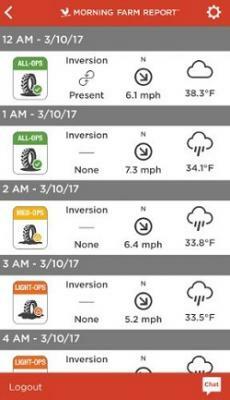 It is high time, then, that a weather app is tailored for the specific interests of pesticide applicators. • Soil conditions – Is the ground too wet to run my equipment on it? • Wind conditions – Do the winds favor making a pesticide application? • Inversion Potential – Is there a temperature inversion present? • Pollinator Awareness – Will making an application be safe for nearby pollinator populations? Inversion potential is a critical issue for applicators in mitigating pesticide drift and ensuring label compliance. Around sunset, the ground cools quickly and causes the air near it to cool as well. Cold air does not rise and warm air does not sink; thus, a layer of cold air becomes trapped under a layer of warmer air above it. The unfortunate result is a lack of vertical air mixing or turbulence in the air as the day winds die off. Further cooling of the surface layer of cold air causes it to become denser and move parallel to the ground in unpredictable (often downhill) directions. Any small droplets released into this layer of cold air will remain suspended and move sideways with the air. When the sun rises and warms the ground again, the inversion will dissipate and those suspended droplets will fall to the ground (often a long way from where they were initially released). Knowing the impact inversions can have on pesticide applications, use of apps like Pocket Spray Smart can help you make timely decisions and avoid costly mistakes. If you don't have a smartphone clipped to your belt, avoid spraying when there is no wind, particularly around sunset and sunrise. Low-hanging fog can be a visual indicator for the presence of an inversion as well. A new year and new pests. 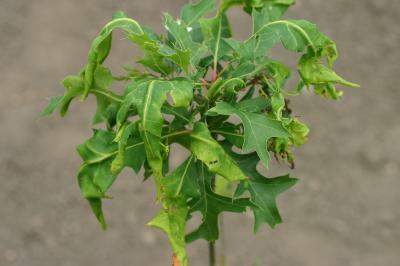 Dandelions are blooming, buffalo gnats aren't too far behind, and with spring rains come diseases. A time to reach for the pesticides, but only after exploring the cultural, mechanical/physical, and biological control options. Sometimes a dandelion fork or a pair of pruners is all that's needed. Pesticide safety is something not to be taken for granted. Any pesticide can be a hazard if used indiscriminately and incorrectly. Gloves are listed on most labels, but not all. However, there are no label exemptions for temperatures above 75 degrees! It may be hot, but you need to protect yourself. Gloves and shoes should be unlined, chemically resistant material. Butyl rubber, neoprene, Viton, and nitrile are the best. If a hole develops, throw the glove away and get another. Cotton and leather absorb pesticides. Leather has the extra disadvantage of being difficult to clean, which means pesticides can be absorbed bit by bit by bit over the spring and summer through the hand or foot. When mixing and loading the products into the tank, take a little extra care with some additional PPE besides what is listed above. This is the stage where many adult applicator dermal poisonings occur. You may need to wear an apron to protect your groin area, and form-fitting goggles to protect your eye; both offer the extra protection from splash back. Eyeglasses and woodworking goggles (both where you can stick your finger behind the lens) offer little protection. Work in a well-ventilated location, which means outdoors or having windows and bay doors open for ventilation. At the end of the day, remove all pesticide-contaminated clothing and launder it. Don't wear contaminated clothing day after day, as this is only increasing the odds of contamination. The person washing the clothing should handle the clothing with chemical-resistant gloves to avoid contamination. Hot water wash with strong detergent and cold water rinse is recommended. Whenever possible, hang the clothes in the sun to allow UV light to further break down any pesticide residue. Run a complete hot-water cycle through the washer to clean out any residue. And, at the end of the day, take a hot shower with strong soap and shampoo to remove any residues and contamination on your body. 2,4-D damage to red oak. In 2016, 121 pesticide misuse complaints were filed with the Illinois Department of Agriculture, with 93 of them being agriculture-related. These complaints resulted in the issuing of 61 warning letters. Eleven of the complaints, primarily unlicensed pesticide application without the misuse of pesticides, resulted in administrative hearings with associated monetary penalties. A total of 54 cases were acted on and closed. Some of these had multiple complaints filed against the same action. Some had multiple enforcement actions per complaint. Phil Nixon (mailto:pnixon@illinois.edu), based on information from an Illinois Department of Agriculture report. U.S. Environmental Protection Agency (EPA) Administrator Scott Pruitt signed an order on March 29, 2017, denying a petition that sought to ban chlorpyrifos. "We need to provide regulatory certainty to the thousands of American farms that rely on chlorpyrifos, while still protecting human health and the environment," said EPA Administrator Pruitt. "By reversing the previous Administration's steps to ban one of the most widely used pesticides in the world, we are returning to using sound science in decision-making – rather than predetermined results." "This is a welcome decision grounded in evidence and science," said Sheryl Kunickis, director of the Office of Pest Management Policy at the U.S. Department of Agriculture (USDA). "It means that this important pest management tool will remain available to growers, helping to ensure an abundant and affordable food supply for this nation and the world. This frees American farmers from significant trade disruptions that could have been caused by an unnecessary, unilateral revocation of chlorpyrifos tolerances in the United States. It is also great news for consumers, who will continue to have access to a full range of both domestic and imported fruits and vegetables. We thank our colleagues at EPA for their hard work." In October 2015, under the previous Administration, EPA proposed to revoke all food residue tolerances for chlorpyrifos, an insecticide active ingredient. This proposal was issued in response to a petition from the Natural Resources Defense Council and Pesticide Action Network North America. The October 2015 proposal largely relied on certain epidemiological study outcomes, whose application is novel and uncertain, to reach its conclusions. The USDA disagrees with the methodology used by the previous Administration. Similarly, the National Association of State Departments of Agriculture also objected to EPA's methodology. The Federal Insecticide, Fungicide, and Rodenticide Act (FIFRA) Scientific Advisory Panel (SAP) also expressed concerns with regard to EPA's previous reliance on certain data the Agency had used to support its proposal to ban the pesticide. This report from the SAP can be found at https://www.documentcloud.org/documents/3532668-2016-7-20-Chlorpyrifos-Science-Advisory-Panel.html. Chlorpyrifos was used for several decades to control household insects under the brand names Dursban, Killmaster, and others. Its indoor use was eliminated in 2001. This indoor use was linked in several studies to brain abnormalities and associated learning and other nervous system activity reductions in children as described and referenced in https://blogs.scientificamerican.com/observations/common-pesticide-disturbs-the-brains-of-children/. There have also been associations with nervous system abnormalities in adults exposed to indoor use of chlorpyrifos. Indoors, chlorpyrifos is effective as an insecticide in controlling insects for four to six weeks. Outdoors, its effectiveness in controlling insects is about one week when the residue is exposed to sunlight and other environmental effects. When applied along foundations underground to control termites, where it is not exposed to sunlight, it is effective for twelve years. It is a contact insecticide, remaining on the surface where applied. There are tolerances for crop residues and harvest intervals dictating the minimum time that must pass between the application of chlorpyrifos and harvest to allow insecticide residues to drop below these regulatory tolerances based on scientific evaluations. Food and feed materials are spot-checked to assure that pesticide residues are within legal tolerances. EPA News Release slightly modified by Phil Nixon (mailto:pnixon@illinois.edu); last three paragraphs written by Phil Nixon. The 2016-2017 pesticide applicator training clinic season is winding down. That's good for us weary, traveling trainers, but perhaps not the best news for those of you who still need to get licensed for this growing season. Perhaps you have recently employed some late-season hires. Perhaps you've been busy with other things or simply been putting it off. Here is some brief information on training and testing opportunities. Only a few training and testing clinics remain. Register as soon as possible. For details and to register: http://web.extension.illinois.edu/psep/training/commercial/clinics.php. A few testing only sessions (no training) remain. There is no fee, but preregistration is required. Register as soon as possible. For details and to register: http://web.extension.illinois.edu/psep/training/commercial/clinics.php. Keep in mind, too, that you can always schedule an appointment to test at the Illinois Department of Agriculture offices in Springfield and DeKalb. Testing is offered year-round, but you must pre-register so they know to save you a seat. For more information about training, testing, and licensing that can help make the process easier and more efficient, please refer to our previous article from last fall, "Good Things to Know for a Simplified Registration and Licensure Process," Illinois Pesticide Review, September/October 2016, at http://web.extension.illinois.edu/psep/ipr/issue.php?IssueID=9508#136235.